The County is divided into twelve (12) Districts based on population. Two members are elected from each District. All twenty-four (24) members are elected at the November General Election in the second year following a decennial census. 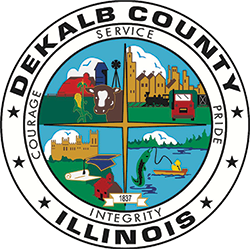 Following the November Election, a reorganization meeting of the County Board is held. A lottery is conducted at that time to determine two (2) and (4) year terms in each District. This allows one member to be elected from each District using a two-year rotation. (Beginning with the election in 2004, all terms are for four (4) years). On June 15, 2011 the County Board adopted new County Board Districts and based on the above procedures, became effective December 3, 2012.